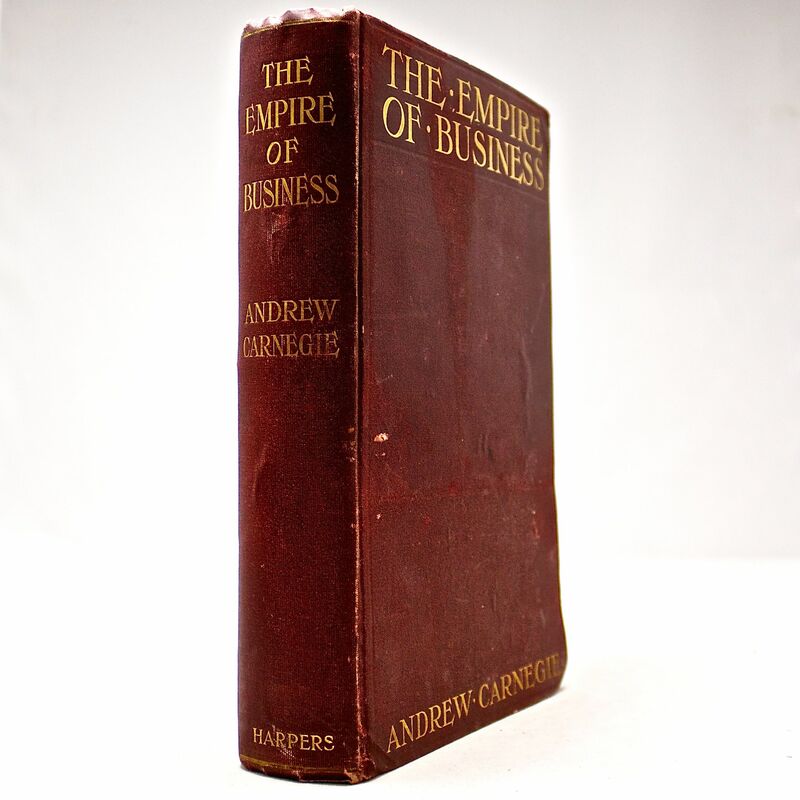 The Empire of Business: Andrew Carnegie Steel Company Economic Treatise - IFA Vintage and Current Book Library - Index Fund Advisors, Inc.
Hardcover in red cloth with gilt title, measuring 6 by 9.5 inches and composed of 345 pp. Illustrated with a photographic fronits of Carnegie. Quotes: "There is one sure mark of the coming partner, the future millionnaire; his revenues always exceed his expenditures. He begins to save early, almost as soon as he begins to earn."